Her clients know that Debra is a good listener. But more than that: she understands their big picture as well. 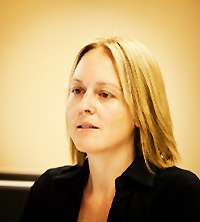 A practicing accountant for over eleven years and member of the Institute of Chartered Accountants since 2008, Debra has extensive technical knowledge across all aspects of the business which means that client solutions can be defined with clarity and authority. Debra has specialized in superannuation, making her the technical advisor on Superannuation Law within Custom Accounting. She is a CA SMSF Specialist & is well-equipped to provide strategic advice for Self Managed Superannuation Funds.